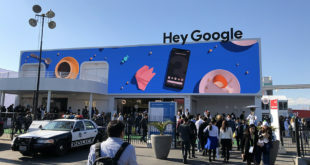 Internet giant Google and US telco Verizon have jointly announced a policy relating to guaranteeing equal priority for most types of Internet traffic. "Verizon and Google are pleased to discuss the principled compromise our companies have developed over the last year concerning the thorny issue of network neutrality," said Google on the company’s public policy blog. The blog carries a lengthy seven point plan issued by the two companies. Google and Verizon are advocating the policy which would be aimed at all Internet service providers and bandwidth provision companies. They all suggest that the US radio regulator, the FCC, should have the authority to police net neutrality rules and for the power to be able to fine offenders. For this to happen some form of the proposal would need to be made into law rather than merely a collective statement of mutual values. "Importantly, this new nondiscrimination principle includes a presumption against prioritization of Internet traffic – including paid prioritization. So, in addition to not blocking or degrading of Internet content and applications, wireline broadband providers also could not favor particular Internet traffic over other traffic," said the joint statement by Google director of public policy Alan Davidson and Verizon vice president of public affairs Tom Tauke.